The hardest thing about saving money is to actually start doing it. One has to be quite determined when planning on to save money as it would require them to cut down on the unnecessary expenses and stop splurging on those weekly or monthly shopping trips! It might sound difficult but it is really important to start saving in your early 20s as it would help you learn the tricks well in advance. The first step, to begin with, is to learn about how much you spend. Make a note of all your expenses. Divide all the items on the list into different categories such as grocery, electricity etc. to help you track how much you are spending on each item so that you can plan on what can be cut down. Having a budget is very essential. You need to make a budget for a week or for a month. Once you have your budget ready, it will be easier for you to decide what you should spend on and how is to be spent on each item. You need to plan your budget strictly according to your earnings. After planning the budget, keep out a small portion of your savings. If you find out that your expenses are too high and keeping aside some amount of savings is tough, then you need to cross out few items on your list. Distinguish between “wants” and “needs”. It is hard to say “no” to friends for plans but that is an important thing to do when you are in your saving mode! Do more of in-house chilling than going out and spending on movies, dinners, brunches etc. Doing less of fancy dinners, day brunches, coffee dates and movie nights will actually help you save a lot as these are the major areas where you spend more than required at times! A lot of movies these days are available online soon after their release. Also, food ordering sites like Foodpanda, Swiggy etc. get you your favorite cuisines at home with a minimal delivery charge which saves you from paying the extra taxes at restaurants. Also, hosting a potluck can be beneficial and fun as well! One way to stop splurging is by spending less on expensive clothing and accessories. It is not necessary to wear everything expensive or branded. It is completely OKAY to pair up a 3k Top with an 800 bucks jegging! You don’t always have to pair up expensive clothes with equally expensive accessories! Do less of “you only live once” (YOLO) and “fear of missing out” (FOMO) purchasing. Sometimes people tend to purchase things just so that they can keep up with the ongoing trends or so that they can grab the limited period stuff. Trying to satisfy these wants is costing you a lot! Understand what you need and what you don’t instead to trying to compete with people. Surely, you live only once but you’ll need money to survive this one life as well. Spend wisely! Surely you have large cabinets filled with stuff that either you never wore or you wore it once for some summer party last year. Get rid of all the unused stuff! Stop piling up things in your closet unnecessarily. Sites like OLX help you sell your used stuff, just upload the ad, find a buyer nearby and sell it off! This way you can earn some money and also get rid of the piled up junk! It’s always good to be goal oriented in life. Do the same when you are saving. Have a goal, say you want to buy a new phone, set this as your goal and save for it. Having a goal always helps as it keeps you motivated. You need not always start with setting up big goals. Start with setting up small goals and then go ahead towards the bigger ones. Once you achieve the smaller ones, it will be easier for you work for the bigger ones! Track your progress every month. See how much you have saved and what are the shortcomings and how can they be fixed. The first month might be difficult for you but if you stay persistent, the results will amaze you soon. By tracking your progress you will also get an idea of what all unnecessary expenses you’ve been doing and what are the things that you ACTUALLY need. ‘If traveling was free, you would never see me again’. Booking flights are becoming a difficult task and expensive these days, you check the rates in the morning and can see them fluctuate within the next few hours. 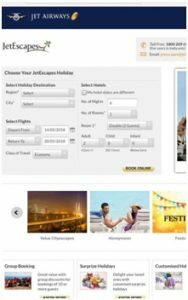 If you love to travel or need to travel at the last minute, then you should be aware of these tricks that can help you save more on flight bookings for your next adventure. Planning your trip well in advance can save you some good amount of bucks as last minute flight bookings are very costly. Start your flight search 3 months before the trip because as per a general guideline, you can get cheaper flights to destinations 47 days prior the departure date. Check flight rates early in the morning, say around 9 AM and in the evening after 6 PM. Always keep your searches private as airline sites collect data and use it to change the prices. If they observe that a route is being searched repeatedly, they tend to hike up prices, forcing you to book the flight as soon as possible. 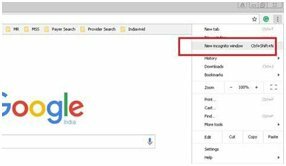 You can enable private search or incognito in Google Chrome either by pressing Ctrl+Shift+N to open a new incognito window or you can start Chrome and click the wrench icon in the top right corner of the screen and click New Incognito Window and start browsing in it. If you are searching in Skyscanner, then you need not worry about private browsing as it does not use any tracking system. Also, compare rates before booking the flight. If you search multiple tickets at once, the airlines may show different prices. 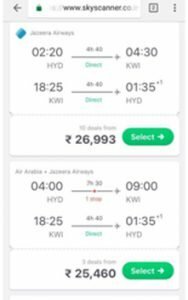 For instance, if you are traveling in a pair and if there is just one low rate seat left then the site will show you two tickets together that are of higher rates. Search for one ticket at a time, this way you can at least save some money on one ticket. Be careful with the search engines that you use, as some search engines keep hiking up the prices than others. You can use Skyscanner, MakeMyTrip, Goibibo, Momondo, Google flights for your flight search. These search engines can help you book cheaper flights. Book your own tickets instead of getting them booked from a travel agent as travel agent often add up their own share of a commission to the actual rate and book the tickets. 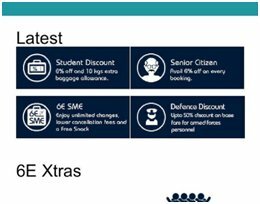 Also, sign up for email alerts offered by your preferred airlines as these will keep you updated about the special or exclusive offers and discounts on tickets. Most of the studies suggest that Tuesday and Thursday are the cheapest days to fly but these are not absolutely true. Weekends are expensive obviously but sometimes even weekdays can cost you some heavy amount, especially if booked at the last minute. The best way to find out the low rate or from which date the prices will decrease is by looking at the prices of the entire month. 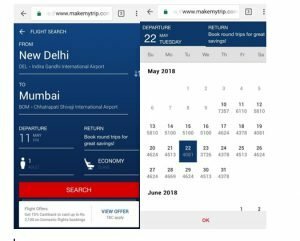 For instance, if you use the MakeMyTrip site or App then just open the site or app and select a One-way Trip option and enter the ‘To’ and ‘From’ destinations. Click on the date option to select the date and you’ll see the rates for each date of the entire month. If you are not very particular about where you sit, avoid seat selecting as some airlines charge extra for selecting a seat of your own choice. Instead, always check-in 24 hours before the flight and select your choice of seat for free. 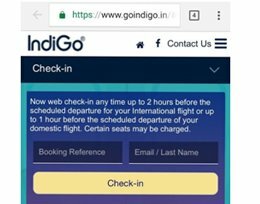 Though websites like Skyscanner, MakeMyTrip etc..can offer some great discounts sometimes even the airline’s website have some unannounced deals and offer to help you save more. Sometimes instead of booking a direct flight to your destination, you can opt for a connecting flight as for some routes connecting flights are cheaper than direct flights. Some airlines offer packages(flight and a car, flight and a hotel etc..) that can help you save a lot in some cities. 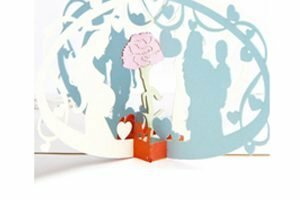 Mother’s Day is just around the corner and all of us want to make it special and memorable for our mums but with a tight budget, it gets little tough. 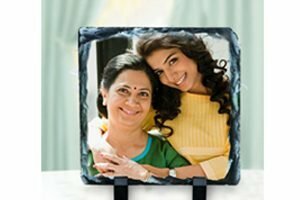 So here are 15 best and affordable Mother’s Day Gifts that you gift your mom and show her that you do think about her! 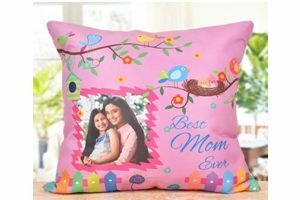 To keep it cozy for your mother, the Best Mom Ever Cushion is a perfect gift which is available at just Rs.395 at Myflowertree. The 12×12 inch cushion can be personalized with the name and picture of your choice. The cushion is easy-to-wash and will add an extra funky look to your house or office. Mother’s Day Photo Stone, the perfect decorative and memorable gift to remind your mother of your special moment with her. The Photo Stone is available for Rs.845 at Myflowertree and can be personalized with your choice of photograph. If you want to surprise your mom in the vintage style, then the Heartful Wishes is the best buy. The gift includes 1 Heart-shaped key chain and a sweet loving message for your mother in a bottle, just for Rs.495 at The keychain can be personalized with your favorite picture. 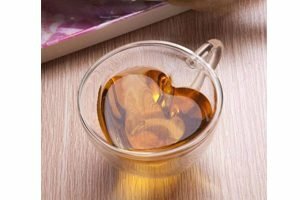 If your mom is a tea or coffee lover then this Heart Shaped Glass is the right pick for her. The glass is a double layered one to keep the liquid hot and is made of Acrylic plastic glassware and can hold 240ml of the drink. 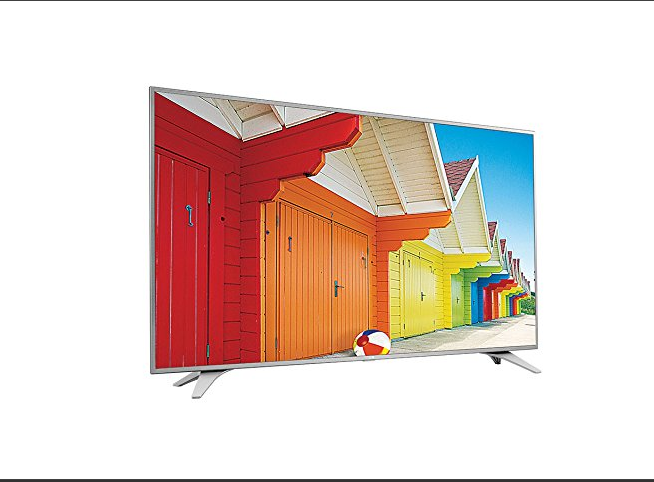 Buy this present at Bigsmall for just Rs.599. 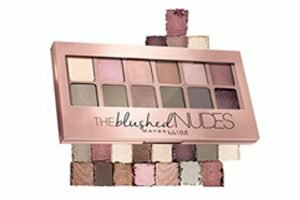 Get Maybelline New York’s The Blushed Nudes Palette Eyeshadow,9g if your mom likes her eyes to do the talking. Buy this tempting palette with 12 luxurious rose gold infused shades at a special mother’s day discount of 13%, just for Rs.765 from Amazon. 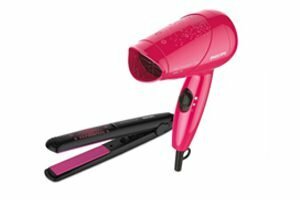 Help your mom style her beautiful hair with the Philips HP8643/46 MS Fresher Philips Essential Dryer and Straightener (Pink/Black) on this Mother’s Day to add an extra oomph to her look. 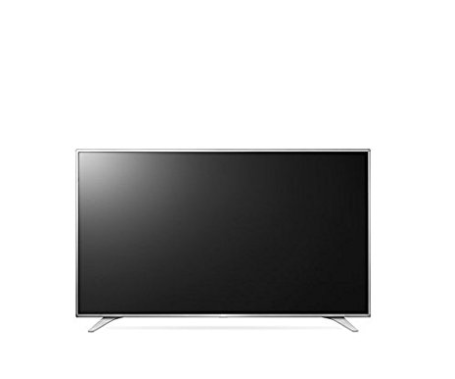 The product is available at a mother’s day special discount of 11% and is now available for Rs.1,899. Buy this useful gift if you can go a little overboard with your budget from Amazon. Plant lover mom? Don’t worry. We’ve got one for her too. 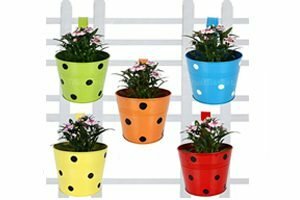 Buy the Trust Basket Single Pot Railing Planter (Set of 5), at an amazing discount of 36%, for just Rs.999 from Amazon and help your mom keep your house fresh and green. A picture speaks a 1000 words. 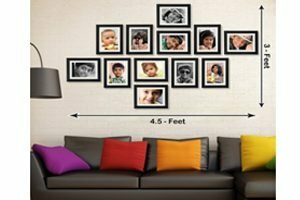 Show your love to your mom by gifting her the Ajanta Royal Classic set of 12 Individual Photo Frames (12-6×8 inch)- WPC-13 and let her relive all the beautiful moments of her life through the pictures, available at Amazon with a special mother’s day discount of 47%, for Rs.1,325. 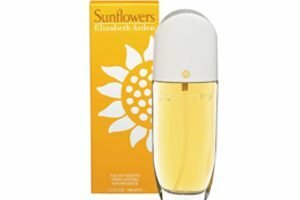 Give a refreshing gift of Sunflowers by Elizabeth Arden for Women to your mum from the perfume range of fernsnpetals with their special mother’s day discount of 28% on the product. The perfume is available for Rs.1,999. 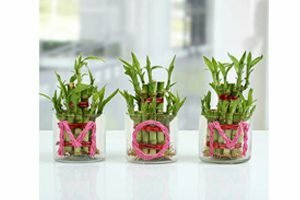 Add up to the home décor of your home with some fresh bamboos and brighten up your mother’s special day with the Three Lucky Bamboo Plants for Mom by fernsnpetals for Rs.1749. 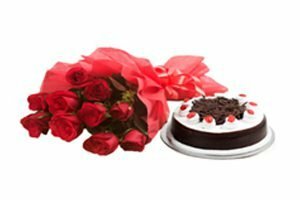 Keep it simple yet memorable for your mother by buying her the beautiful rose bouquet and a delicious Black forest cake from fernsnpetals for Rs.1299. 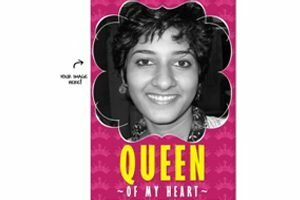 Let the walls of your house scream your love for your mom through this queen of my Hearts personalized poster by UC. The poster is available at giftease for just Rs.199. 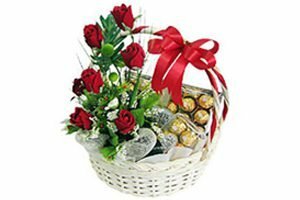 Wish mother’s day to your mom with some fresh red roses and begin the day with the sweetness of chocolates from giftsnideas for Rs.2,900. Withdraw larger ATM amounts at once to avoid paying more on each non-free withdrawal as some banks offer only 5 free transactions to its customers. This way you can save up to Rs.20 per withdrawal and up to Rs.8.50 on non-financial transactions. 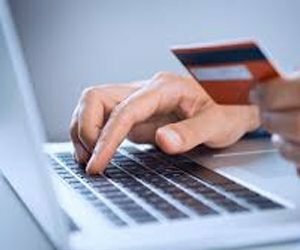 Netbanking is becoming a boon these days as it is quite convenient to use. Funds transferred through net banking are free of cost and allow you to save Rs.20-150 per cheque book, depending on the number of leaves. Procrastinating payments of credit card bills will only call for increased interest rates like for instance, a delay of 3 days will make you pay Rs.750 extra, but paying the bills on time will let you save 39-42% interest per annum. Opting for the Bill Pay Services offered by the bank means that your bills’ on-time payment is taken care by your bank and hence, you get saved from paying the penalties which can be from Rs.40-100, depending on the utility company. You can save Rs.100 by opting for receiving duplicate statements via email as duplicate physical statements or passbooks are chargeable. Banks offer 3-4 free transactions to its customers in a month. Any transaction beyond this limit calls for a charge per transaction. For instance, HDFC bank charges a minimum amount of Rs.150 per transaction that’s done after the 4 free transactions offered by it in a month. Limiting cash transactions at branches can help you save up to Rs.150 per transaction. 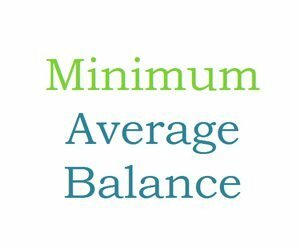 The banks require its customers to maintain a minimum balance amount in their accounts so as to avoid non-maintenance charges. For instance, HDFC requires you to maintain a minimum balance amount of Rs.25,000 in its Savings Account. 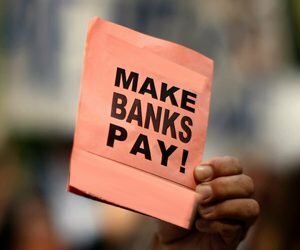 The minimum balance amount in SBI banks is mandatory too but varies with regions. Maintenance of minimum balance saves you from paying non-maintenance charges that can be from Rs.10-600 per month. Though it is quite convenient to withdraw from credit card it can make you pay an extra fee for doing so. Some banks charge its customers for withdrawing cash from credit cards. Cash withdrawal from credit cards is referred to as Cash Advance by some banks. 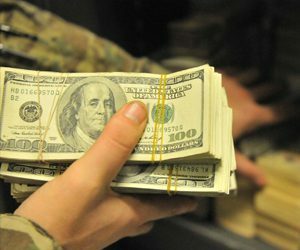 Cash advance alternatives such as, use of balance transfer or convenience checks, pay your friend’s bills and get the amount back in cash from them, use credit card for payments at places where it is acceptable instead of cash payments etc could be helpful in saving you from paying an extra fee of minimum Rs.300-500 or 2.5% of the amount withdrawn. 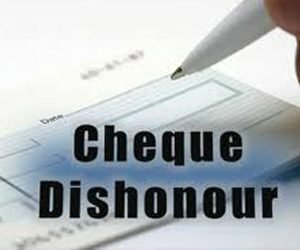 Cheques should be issued as per the balance amount available in the account as if the cheque amount exceeds the account balance amount, the cheque gets dishonoured and the payer is liable to pay a penalty depending upon the amount for which the cheque is issued or can be imprisoned if the case tends to be a serious one or involves large amount as dishonouring of cheques is also a criminal offence. 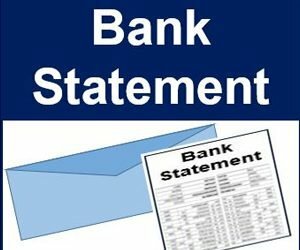 Issuing cheque with the amount which is within the bank account balance can save the payer from paying the penalties. 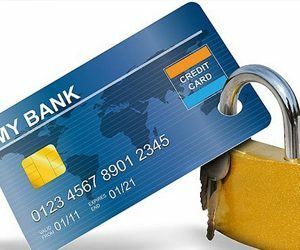 The above-mentioned tips can be used for saving oneself from falling into the trap of the banks that make its customers pay the extra penny in name of taxes and penalties. Airtel’s Offer Amazon prime Membership to its Post-paid Infinity Plan Customers can be availed with these simple steps. An interesting entertainment deal has been signed between Airtel, one of the largest telecom operators in the country and e-commerce giant Amazon for Airtel’s post-paid customers. This enables select Airtel users to Amazon Prime membership for free, provides them access to a wonderful platform to watch movies, TV shows, and much international television series. Amazon Prime is a most sought after service by millions, so it’s indeed a bonanza for Airtel customers. 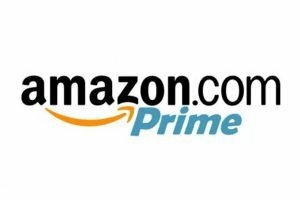 Who can avail the Amazon Prime Membership Offer for Free? How to claim the Amazon Prime Free Subscription Offer? First subscribers need to download the Airtel TV App from the App Store or Play Store. Login using your registered mobile number. You will see the Amazon Prime Banner. Activate it and enter your Amazon login credentials. You will now be eligible for 365-day Amazon Prime Subscription. How long is the Amazon prime membership Offer Valid? With this Airtel Plan, while you get great benefits like unlimited calling and 40GB data, remember that Amazon Prime offers you great benefits too. Will the offer be valid if Airtel User switches plans? This offer will continue till the customer continues the plan or switches to a higher plan. In case they choose a plan of lesser value, the subscription will be terminated. After one year if the customer wishes to continue, he has to pay Rs999 a year. Go ahead, avail the Infinity Plan and enjoy your Amazon Prime Free subscription offer. Zomato is a giant in the Indian food tech and is has a fierce competitor in Swiggy. Now they have zoomed ahead with this latest offer. After a successful run in the UAE and Portugal, Zomato has launched its biggest jackpot yet for the customers – Zomato Gold, the best subscription program on premium dine-out and for social drinking experiences. According to the company CEO and founder, Deepinder Goyal, it is a subscription program where you get access to special perks on membership. Like a complimentary dish or two complimentary drinks (both alcoholic and non-alcoholic) every time members chose to dine or drink at one of the Zomato partnered restaurants in India. You can use it any day of the week, or any hour. Buy 1 get 1 free on food, buy 2 get 2 free on drinks. Any dish or drink can be picked from the regular menu. There are no restrictions. Enjoy unlimited visits to all restaurants and bars. This means that you get to save big money on every visit. Members get invites to curated food and drink events like restaurant openings, wine tasting sessions etc. In how many restaurants and cities is Zomato Gold available? IN 6 cities – Mumbai, Bangalore, Pune, Hyderabad, and Delhi NCR. They plan to expand to more restaurants and cities soon. And for those who have contacts, Zomato has integrated referrals. With each member you refer, the sender gets an added month of subscription and the receiver gets a 25% discount on the membership. An exciting offer which can be availed by anyone interested in exploring new food and drink. How to get the gold membership? To get Zomato gold membership, visit Zomato website or download the app. In the app, open the “Dining out” or “Nightlife” tab, and tap on Zomato Gold. If you wonder how restaurants will benefit from this deal, it helps them get a loyal customer base. Once you are hooked on their food and quality you will surely be patronizing them more. A win-win situation for both! Go ahead, subscribe to the Zomato Gold Membership and enjoy wining and dining benefits cherished by a privileged few. Paytm has revolutionized the way Indians have been paying for decades and are the number one choice for payments. While we love all features that Paytm has to offer, Paytm Postpaid, here’s more to cheer you up! Yes, you heard it right! Paytm has come up with the concept of Paytm Postpaid. 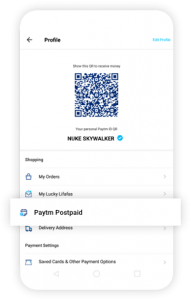 What are the Benefits of Paytm Postpaid? Based on your transaction limit you get assigned a credit limit! The more you spend, the higher is your limit. Worried about interest rates and hidden charges? Relax, there’s absolutely none! You will be reminded to pay on the 1st, 10th and 15th of every month. So, do not worry about the hassles of forgetting. First time users, enjoy a flat Rs.50 off. Watch out for more benefits! There are no processing fees, in just a few clicks; you are ready to use your post-paid services. Instant approval, no documentation and processing time! You open your post-paid account and start spending. How does Paytm Postpaid works? Login, go to Profile, and click on Paytm Postpaid. You will be able to view your spend limit. Shop anywhere, anytime; use the Paytm Postpaid as your mode of payment. Pay by 15th of next month using, net banking, wallet or debit cards. 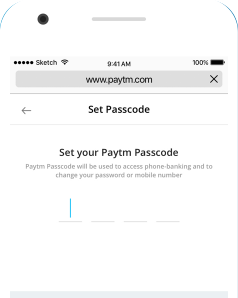 How to set passcode to start using Paytm Postpaid? That’s all it takes folks, to set up Paytm Postpaid. Now go ahead, enjoy the benefits and don’t worry about payments till the next month. For any queries, you can always contact their 24*7 Customer Care. Father’s day is round the corner and time to make this day special for him. 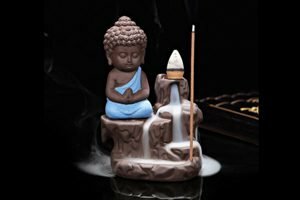 Here are gifts ideas suggested as per type of dad. Let us know your Dad type and what gift you have decided for him. We love our Dad whatever maybe the type. 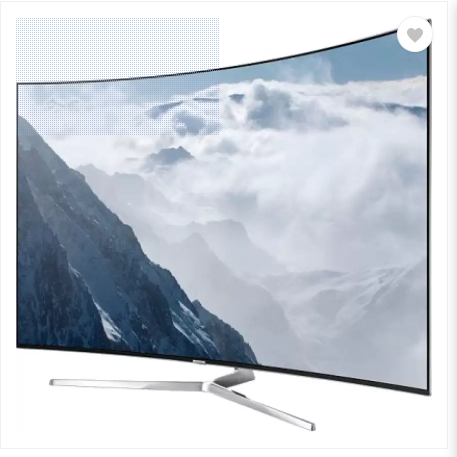 He is the one who is always glued to his latest smartphone, Xbox, VR headsets and keeps a strict track of any latest gadgets releasing and pre books them. The Gadget Obsessed dad’s are internet savvy and google answers all their queriers. He is the type of Dad who loves fashion and is a brand freak. He only shops branded stuff for you. Overprotective Dad’s takes you to the doctor, school and message/calls you every 15 min when you step out of the house. Master Chief Dad’s loves cooking and tries new recipes. They will love to make Omelet for you anytime, will make sure you are getting all the essential nutrients and loves to pack your lunch. Superdad works hard and at the same time finds enough time to change your diaper, will put you to bed and will do everything what mother’s can do. UberEats on demand food delivery app recently started it’s service in India. At present serving only Mumbai and will very soon expand it’s operations to other cities. 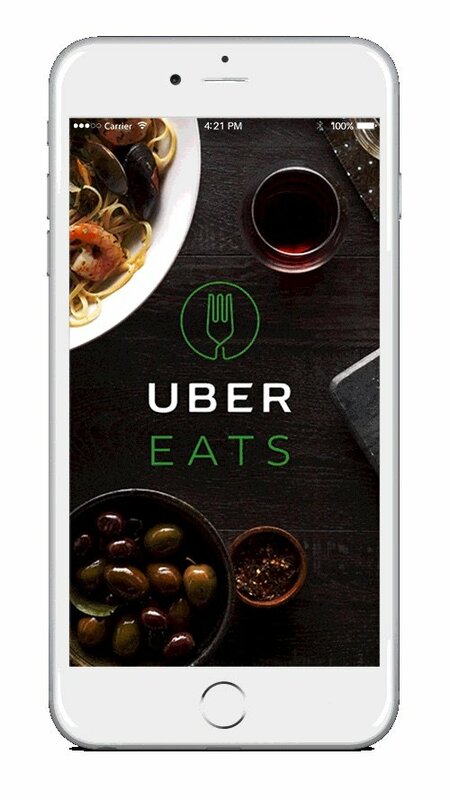 How to Download UberEats App? UberEat App is available on App store for iPhone users and Play store for Android users. How to Signup for UberEats? If you are an existing Uber user, use same logins else register as new user. How to Apply UberEats Promo Code to get Discount? As of now paytm is the only mode of payment. How to use UberEats referral code? Once you login to the app, you referral code will at the free meal section of the profile. Share your reerral code with family/friends. they can Flat Rs. 100 discount on first order placed through UberEats. You get Rs.100 promo code which can be applied to your next order. Summers and IPL go hand in hand, we all look forward for some interesting matches and support our favorite team and players. 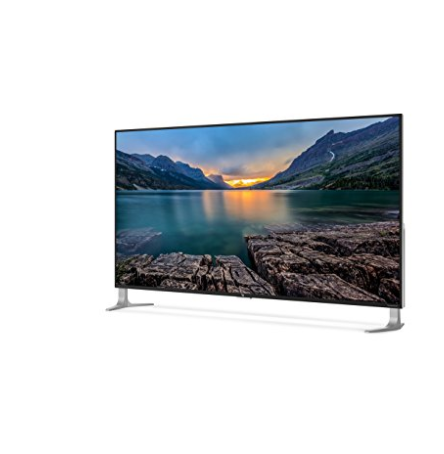 All we need in our homes is Fridge, Coolers and most important impressive TV screen to get the fell of stadium when we sit with our friends. 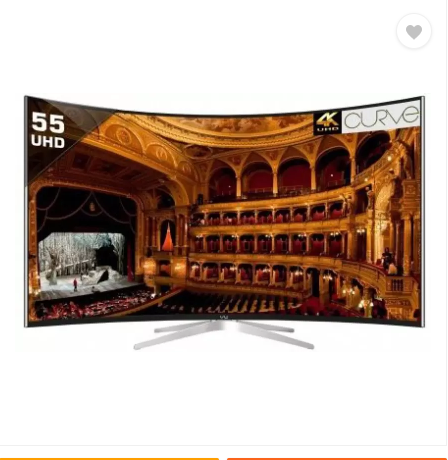 These Offers on 4K smart Tv online are steal deal from LG, Samsung, Panasonic, Sony make sure to order them now to enjoy the game. Free delivery in 2 days depending on the location and no cost EMI option available.